The South African equity destination club Dream Circle, launched at the end of last year. We recently touched base with Ian Beauchamp the clubs Managing Director. The club is about to complete the sign up of its first 25 members, which means that its running somewhat behind the initial plan. Although Ian feels that this has been good progress given the current economic environment in South Africa. Desroches Island Villa in the Seychelles. With an eye to broader membership, Ian stated "We have also embarked on some research to explore the feasibility of including two European Destinations into the portfolio which will make the portfolio more attractive to a broader range of European members." The parent company for Dream Circle is Mirage Leisure Group, which provides property development management is South Africa, Dubai and Morocco. 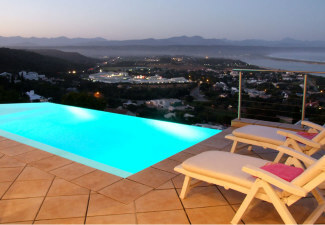 Most of the European based destination clubs, including Botiga, The Hideaways Club and Oyster Circle, either have homes or have intentions of opening homes in South Africa.